At twice the height of the Empire State building, fifteen times the height of Niagara Falls, Angel Falls is the highest in the world, with a height of 979 meters (3,212 ft) and a plunge of 807 meters (2,647 ft). 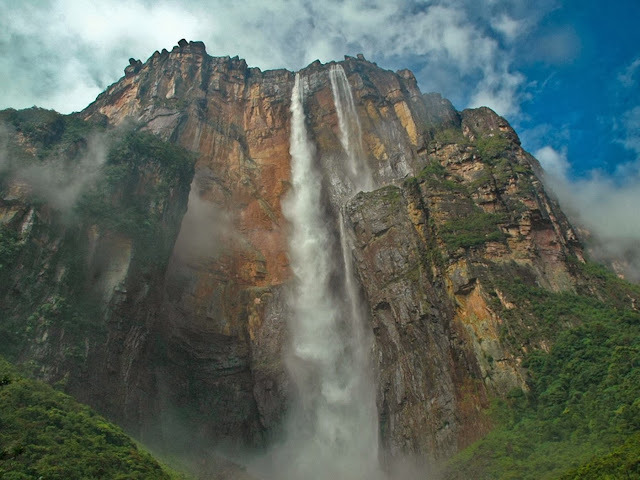 The height of the falls is so great, that before getting anywhere near the ground, the water is atomized by the strong winds and turned into mist that can be felt a mile (1.6 km) away. 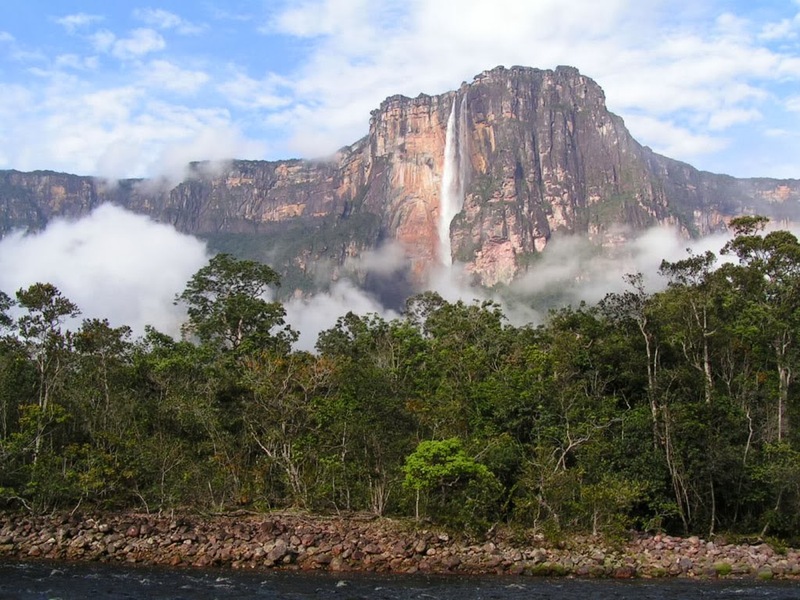 It is located in the Canaima National Park, an UNESCO World Heritage site in the Gran Sabana region of Bolivar State, Venezuela. It is one of the country’s top tourist destinations despite its isolated location. The base of the falls feeds into the Kerep River (alternatively known as the Rio Gauya), which flows into the Churun River, a tributary of the Carrao River. The Natives in Venezuela had known about the "Salto Angel" since the beginning of time. Then United States pilot Jimmie Angel was flying over the area in 1935 when he landed on the top of a lone mountain in search of gold. 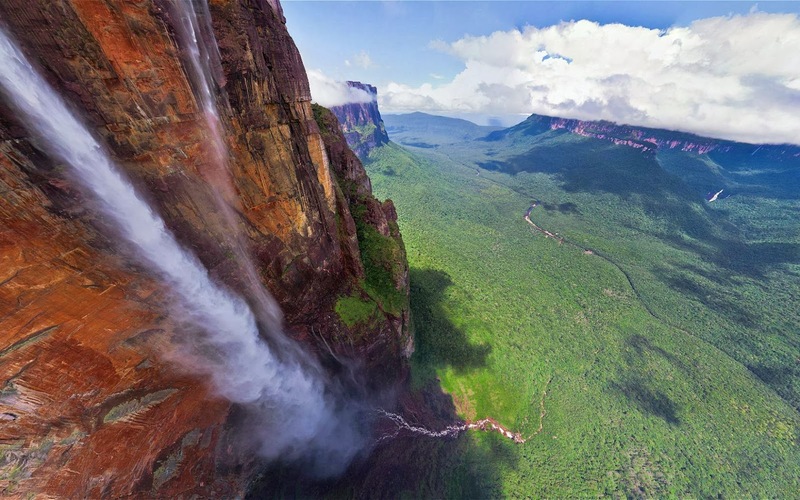 His plane got stuck in the boggy jungle on top of the mountain and he noticed a pretty impressive waterfall plunging thousands of feet down. He wasn't too happy about the 11 mile hike back to civilization, and his plane remained stuck and rusting upon the mountain as a monument to his discovery. 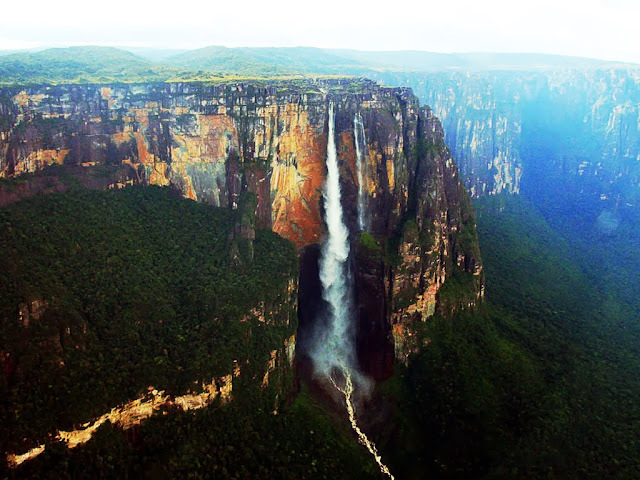 Soon the whole world would know about the falls, which came to be known as Angel Falls, after the pilot who "discovered" them.